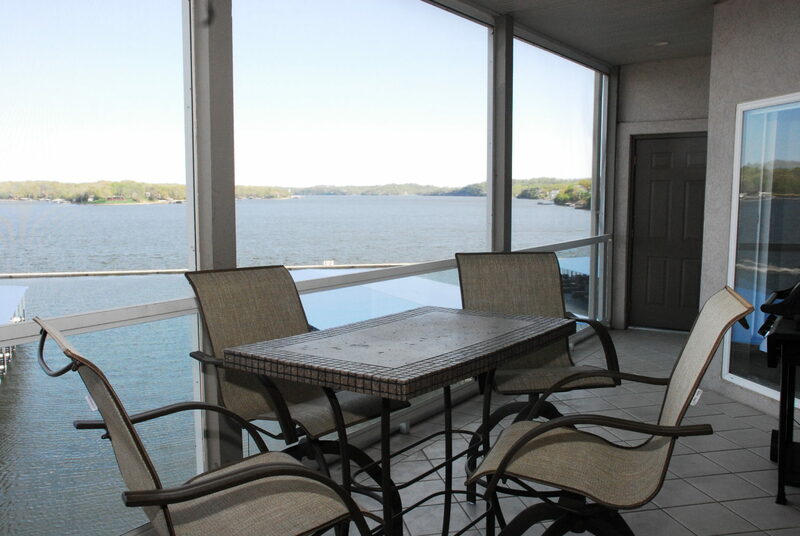 Enjoy the breathtaking panoramic waterfront view from your own private screened in deck.This 15 acre condominium resort in the heart of Osage Beach has a half mile of shoreline, a spectacular 10 mile view, a spacious pool deck for sunning, a lazy river with a kids pool and area. 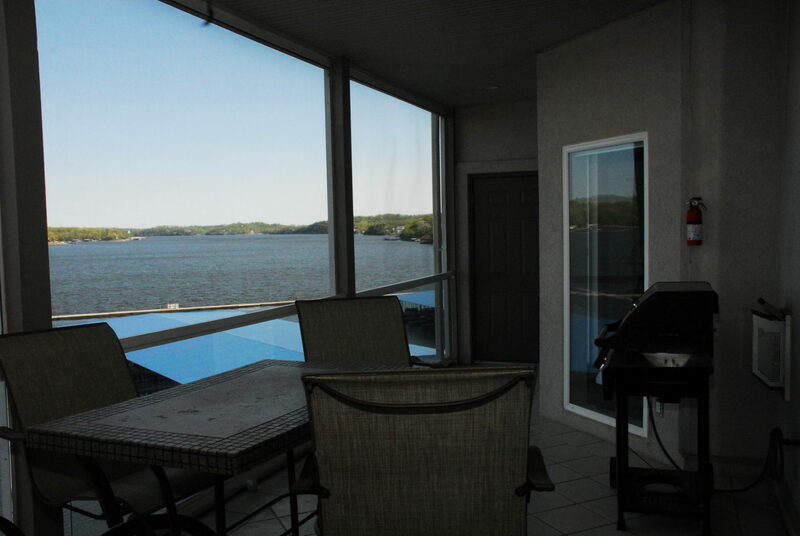 This resort has a panoramic view where the Grand Glaize bridge meets the main channel, elevator access to all units, a lighted boardwalk the full half mile of waterfront and a elegant 5000 sq. 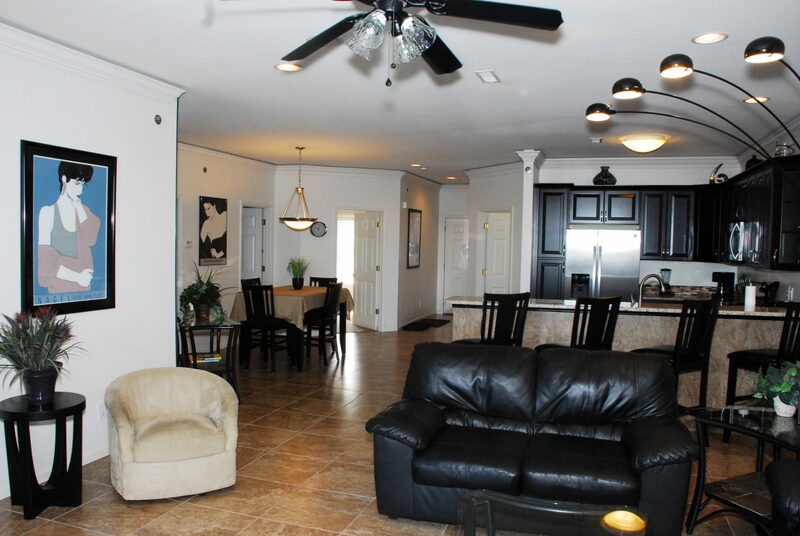 ft. clubhouse with a pool table and more. 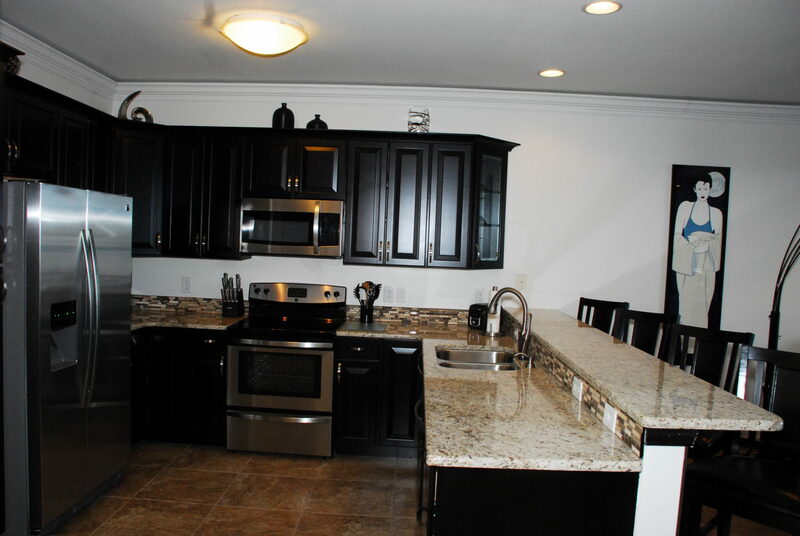 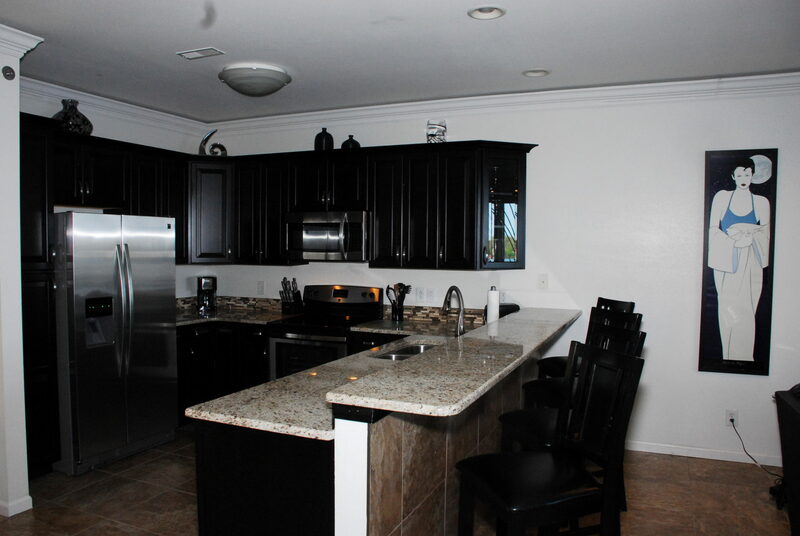 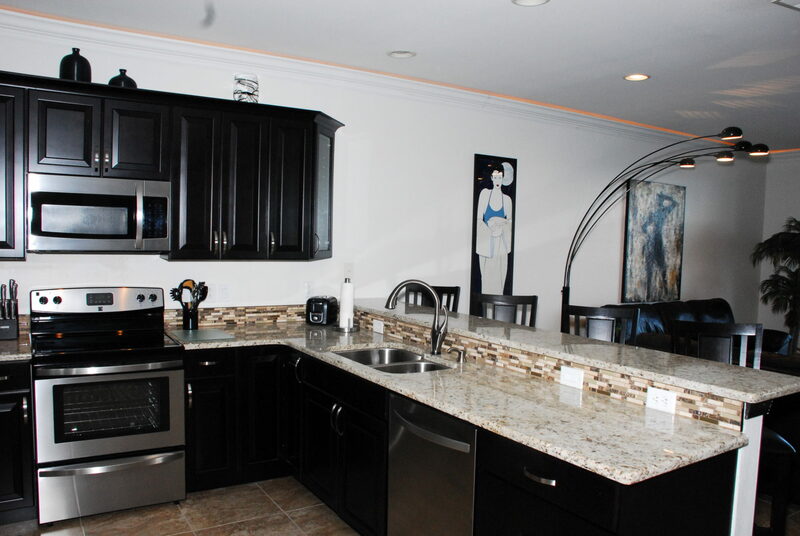 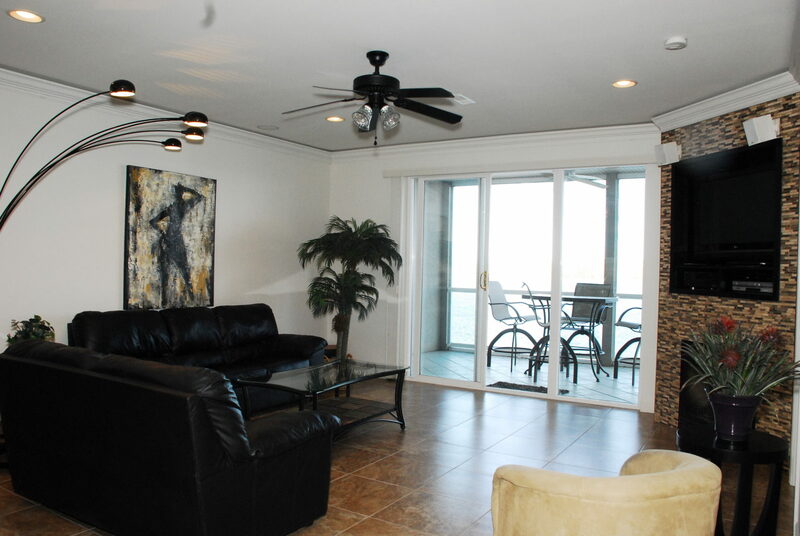 This 3 bedroom, 2 bath, large condominium has everything to make your vacation perfect. 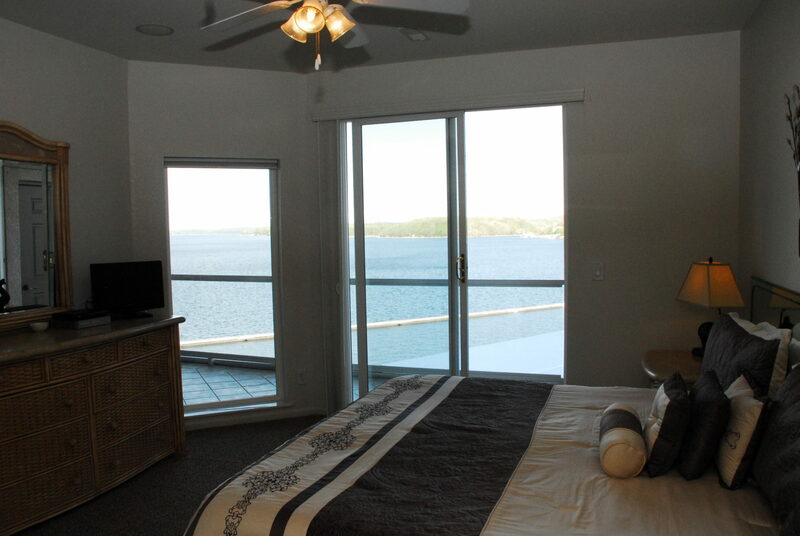 Sleeps 6 adults. 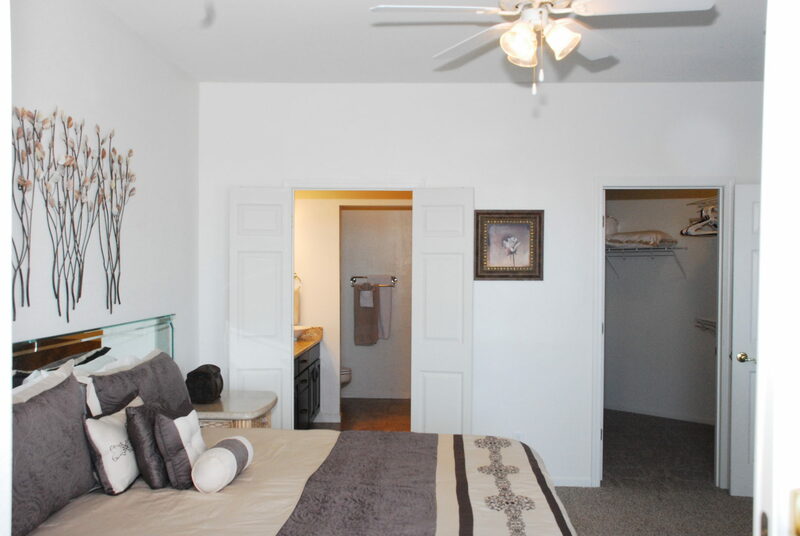 Queen size air mattress available for 2 children. 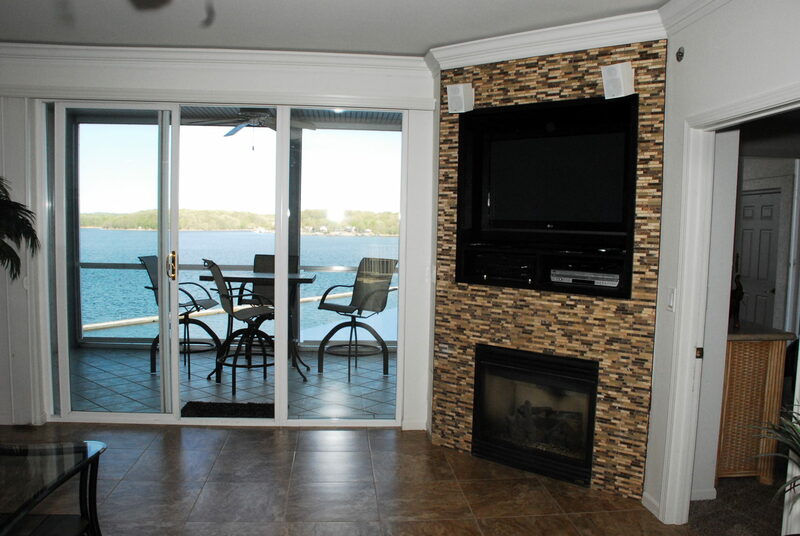 The large screened in deck has a built-in gas grill, built in speakers, and an outstanding view of the lake action. 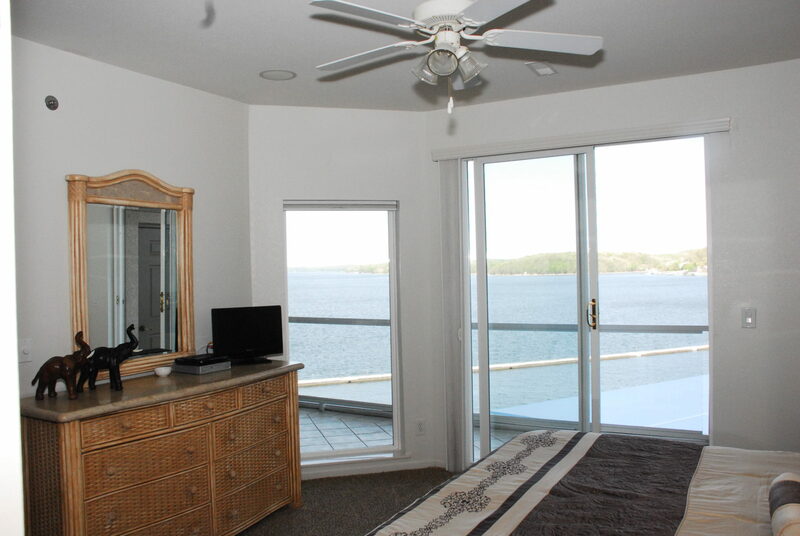 The master suite has a private bath with a jetted tub, separate shower, and the most unbelievable view of the lake. 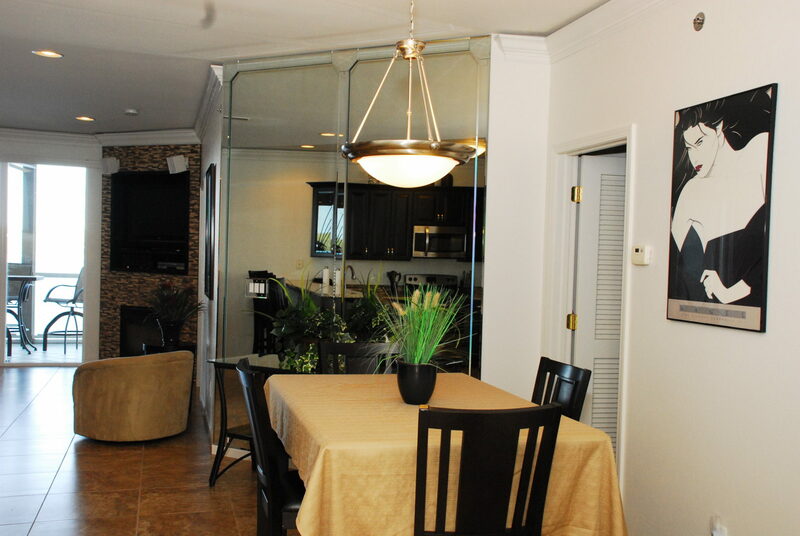 The great room (living room, dining room, and kitchen) are all open and spacious and has that same outstanding view of the lake. 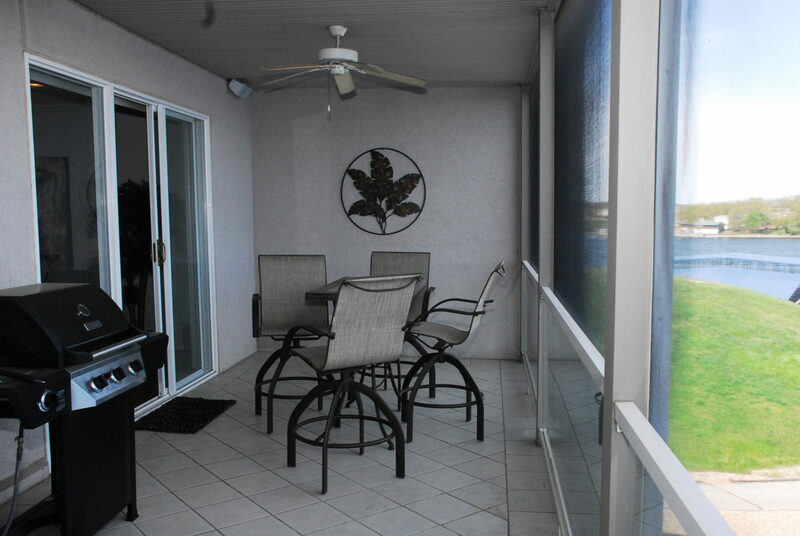 This unit is just minutes away from many golf courses, the 110 outlet store mall, and many great restaurants. 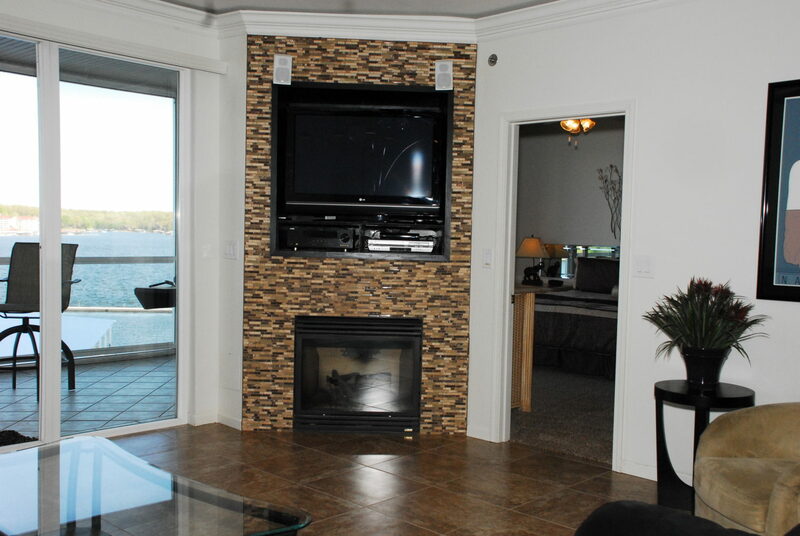 Bring your family and friends to the lake and ENJOY!!! 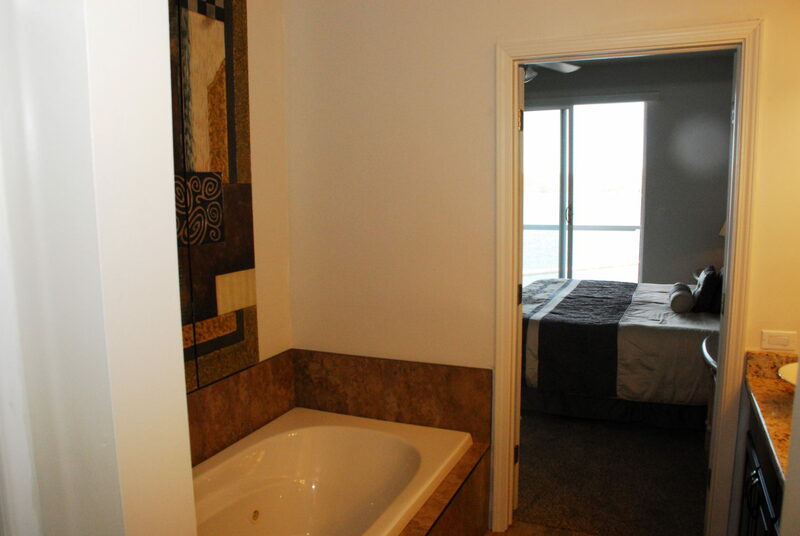 We have two units right next to each other 301/302. 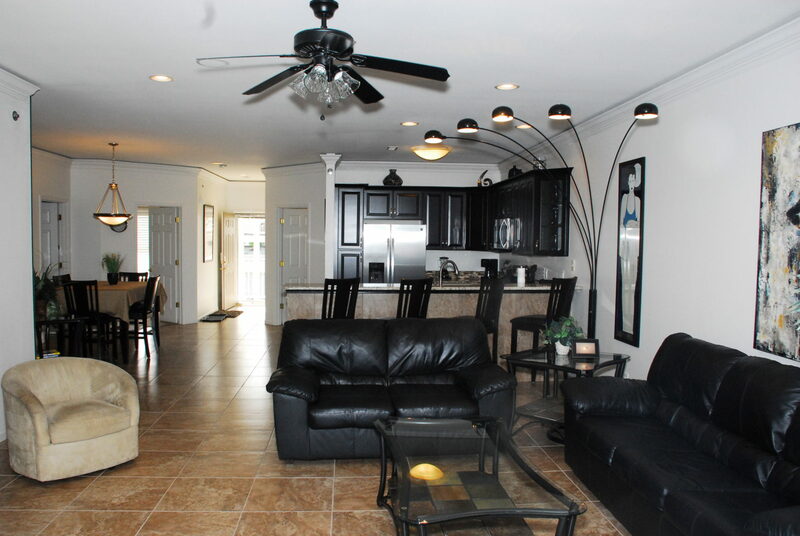 Renting both would be ideal for large families or couples vacationing together.